RE: Which model is most accurate for Europe? Yeah, you are totally right. Ideally, it should be done by all the weather services. Now I wrote to DWD and asked whether the numerical prediction models for radar shift trends themselves are also freely available. Maybe we, windy, or some university can compute the trends for other countries by ourselves then. 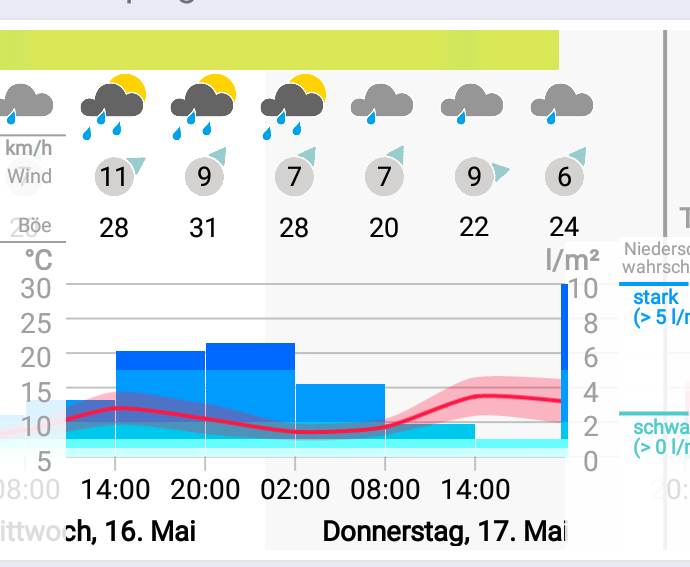 In fact the German weather service / Deutscher Wetterdienst (DWD) offers exactly this as open data (called "radar shift trend" internally): Together with the radar data for past hours, it includes a numerical prediction for the next two hours in 5 minutes steps on a 1km x 1km grid based on the past radar data. It would be great if windy could include this ultra-short-term prediction based on radar data, too! Well, you are right, but I was thinking of a free radar composite, which can directly be used for windy. I edited my comment and included "free". RE: Ensemble view / model comparative behaviour? Weather radar for Europe! Thank you for your amazing work!